Excuse me, while I go get a drink while writing this as I am a bit thirsty. After hearing about a bunch of hot and single rugby players going up for auction to take me out on a date, I found myself a bit … parched. Is there an ATM nearby? Anyone? Set to take place on Wednesday, July 26th at 7 p.m. at New York City’s (and the LGBTQ+ community’s) famous Stonewall Inn. The auction will raise money to support members of the Gotham Knights R.F.C. (Rugby Football Club) trip to the 2018 Bingham Cup being held next summer in Amsterdam. 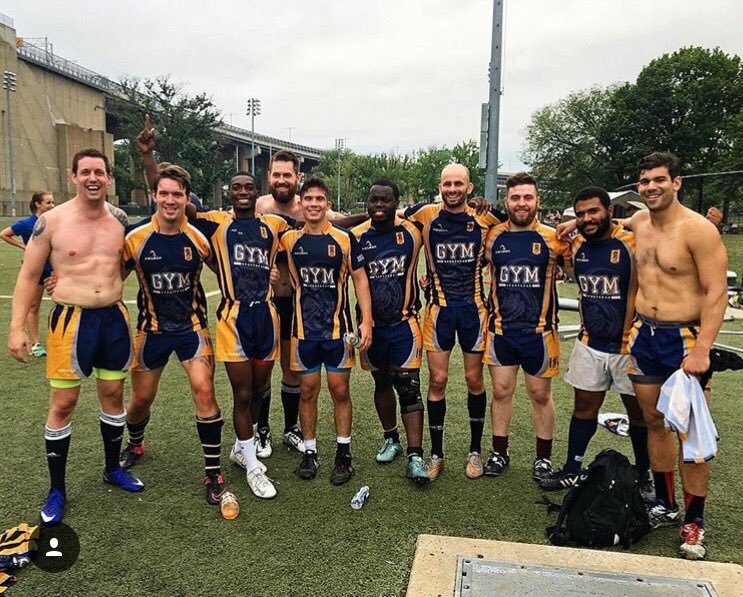 Bringing in rugby teams and athletes from all over the world for a week-long tournament, the Bingham Cup is essentially the World Cup for gay rugby. Filled with rugby, camaraderie and tons of fun, the biennial event was founded in 2002 by the San Francisco Fog RFC and named the Bingham Cup to honor Mark Bingham, one of their players who had paved the way to build the sport for LGBTQ+ athletes. Bingham is one of the heroes who passed away on September 11, 2001 when he and other fellow passengers stormed the cockpit on Flight 93 and fought to successfully prevent further loss of life on that fateful day. To add a personal note to all the feels, I do not play rugby. My first trip outside the United States was to Cologne, Germany to take part in the 2010 Gay Games. That experience and all that I accomplished on that trip truly changed my life. Meeting and connecting with hundreds, if not thousands of LGBTQ+ athletes all across the world, for the first time ever, I felt like I was a part of something bigger than myself. It was truly a profound experience. For the hundreds of LGBTQ+ rugby players out there and especially the Gotham Knight’s, a similar experience awaits them at the 2018 Bingham Cup in Amsterdam. The auction is open to all! Everybody can bid so if you find yourself in or around New York City on July 26th, be sure to stop by the Stonewall Inn and bid for one of the hottest, eligible bachelors of the whole Bingham Cup.